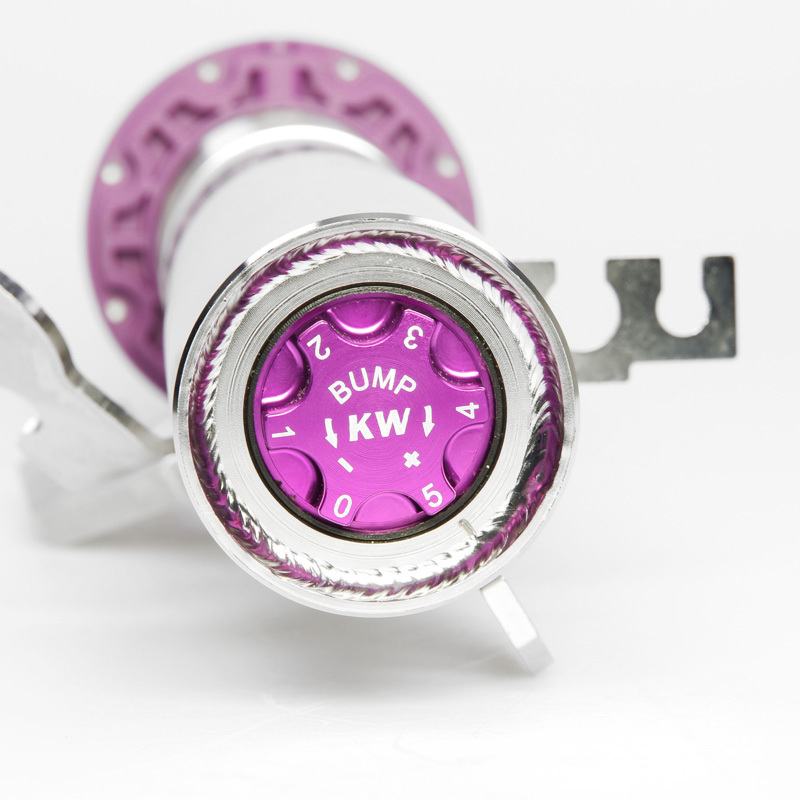 Independently adjustable compression & rebound damping. 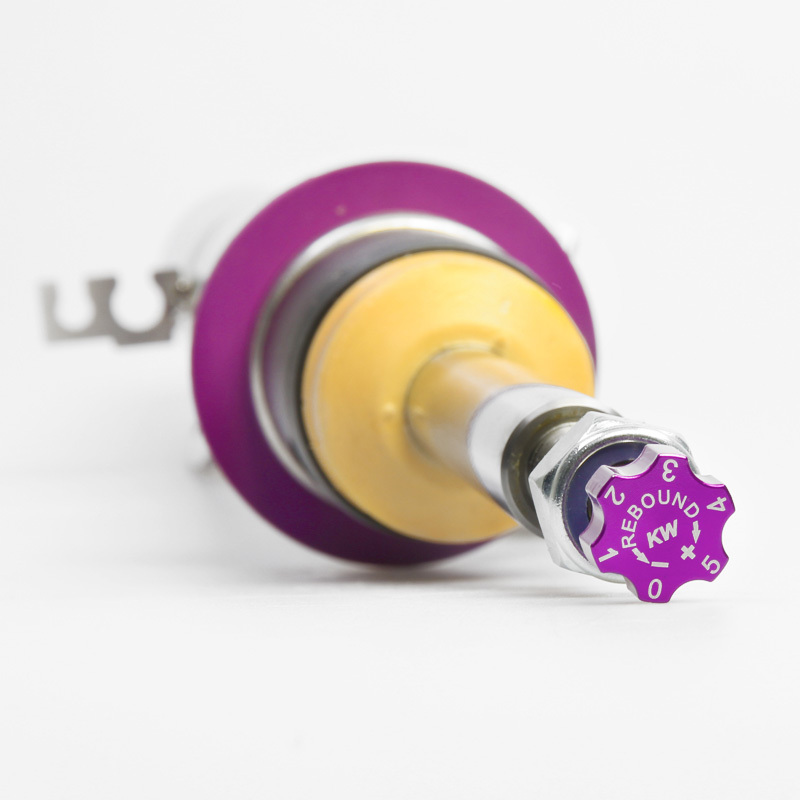 Our engineers have developed a sporty yet refined setup that allows you to individualy adjust the compression & rebound damping independently of each other. 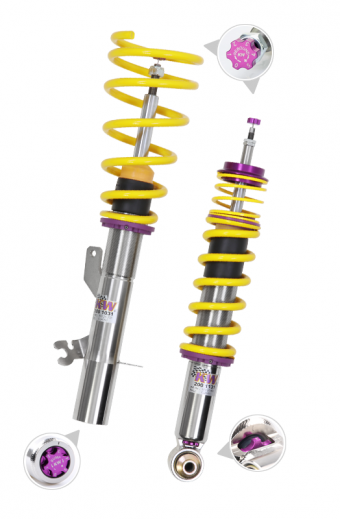 To ensure we provide the perfect suspension setup we test them on our KW 7-post rig, as well as extensive driving tests on country roads, highways and even on the Nürburgring Nordschleife. 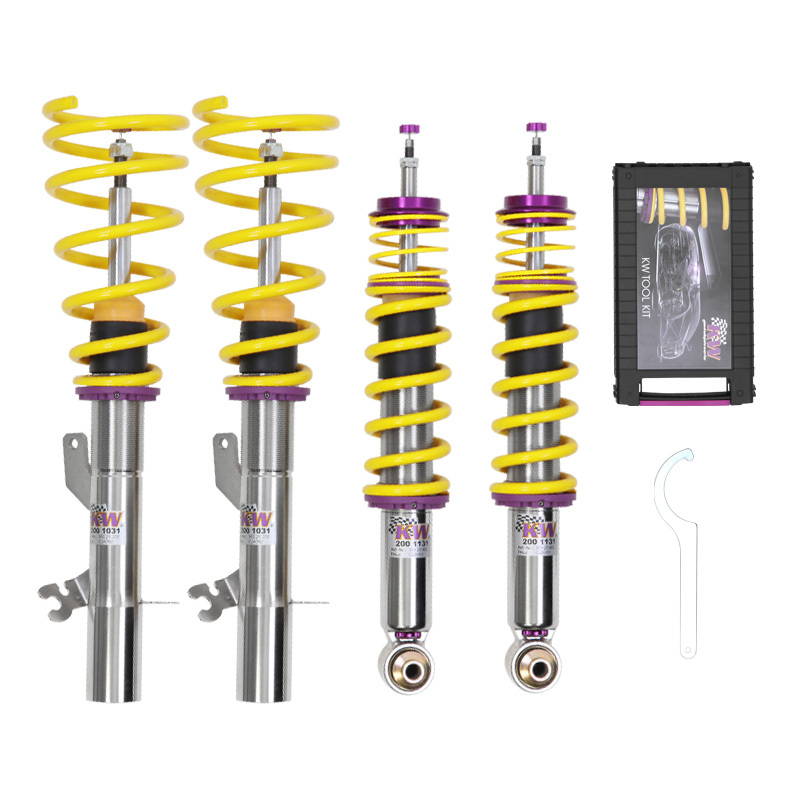 For years, the KW Variant 3 "inox-line" coilover kit has been one of the top aftermarket products and a benchmark for coilovers. It has convinced sports car drivers, tuners, large-and small series manufacturers such as Alpina, MTM, Manthey, Oettinger and many more industry leading companies in the international automotive industry with its damping characteristics, quality finish and durability. 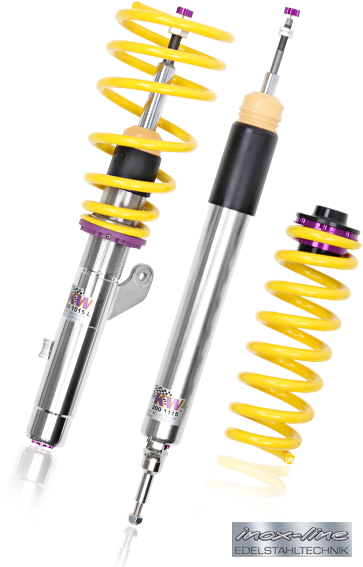 The KW Variant 3 "inox-line" coilover kit and every single damper are subjected to extensive quality tests during production in order to meet the high standards of our KW quality management. 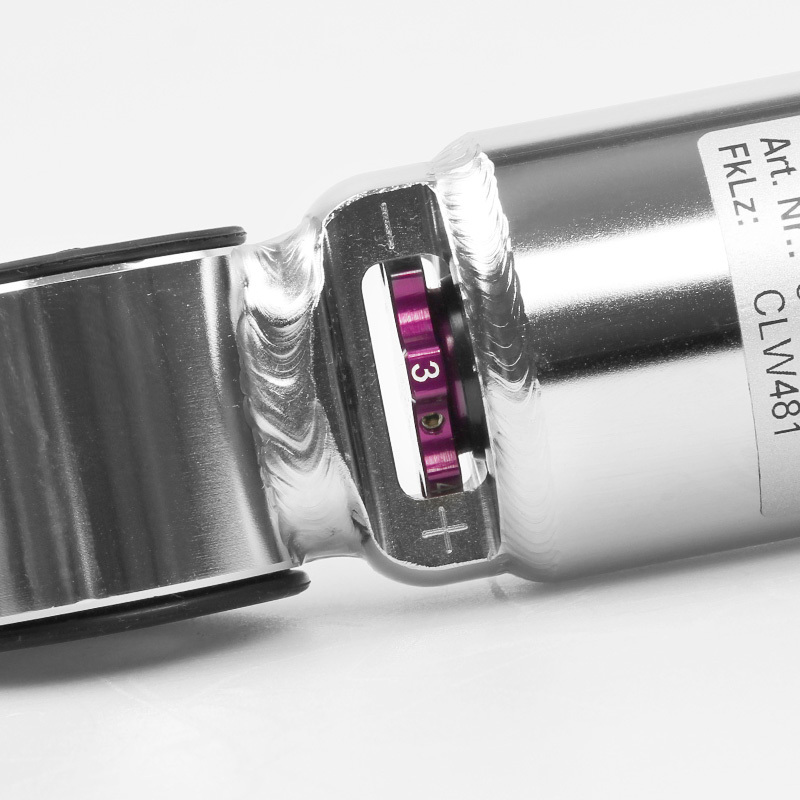 This extensive testing is what enables us to give up to five years warranty on our KW Variant 3 "inox-line" coilover when installed at one of our KW specialist dealers. KW coilover struts are made of stainless steel and 100% rust-free with an unlimited life time.